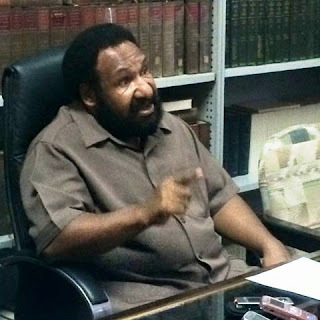 Papua New Guinea Opposition Leader Don Polye has welcomed the court decision to recognise Anderson Agiru as Hela Governor. Mr Polye said he believed in "our judiciary system and that justice had been served finally" at least for now until the matter returns to court on February 19. "I always have faith in our judiciary system and that victory has been delivered to Governor Agiru and the people of Hela," said an elated Polye. He said the court decision would now defuse a potential volatile situation in Hela that has built up over the past few weeks. Polye said the Government must be equally blamed for the situation in Hela as it took sides with Komo-Margarima MP, Francis Potape. He has queried why Prime Minister Peter O’Neill has allowed his Deputy Leo Dion "to risk chaos in Hela’s leadership tussle". Mr Polye has accused Dion, who is also the Inter-Government Relations Minister, for "pouring fire on the leadership feud". Polye said prior to the court decision: "The matter was before the Courts. It is a judicial matter. It is not a matter for Dion to decide – unless Dion has decided to ignore the courts – and O’Neill is supporting him in ignoring the courts."